A large cuff formed from a single sheet of metal with irregular edges and rounded corners. 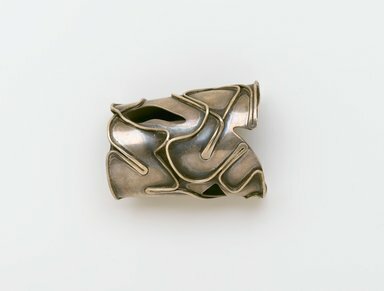 The cuff features a small cut out on each side and is decorated with continuous wire that is bent and flattened in areas and pulled apart at the cuff's center. Patination is used to define the overlapping of the wire.